Join WP+D for a networking brown bag on Wednesday, October 21 from 12:00 p.m. to 1:00 p.m. to discuss professional development and career plans with August's featured guest, Jane Hornstein, Deputy Director, Cook County Department of Planning and Development. Jane Hornstein joined the Cook County Bureau of Economic Development, Department of Planning and Development in January 2012. Since her arrival, Jane’s main task has been to deploy the Neighborhood Stabilization Program and the HOME Investment Partnership Program funds into safe, decent and affordable housing throughout suburban Cook County. In addition, Jane has been tasked with deploying the Community Development Block Grant – Disaster Recovery funds for Cook County ($83.6 million) as well as assisting in crafting Cook County’s response to the National Disaster Resilience Competition. Before joining Cook County, Jane worked as an independent consultant to several organizations including six years with the Metropolitan Planning Council structuring and implementing their Employer Assisted Housing initiative. She also worked with IFF, with HUD as an expeditor of its HOPE VI program and with Harris Bank underwriting various loan proposals. This is a members-only event limited to five participants. Attendees are encouraged to bring their own lunches. 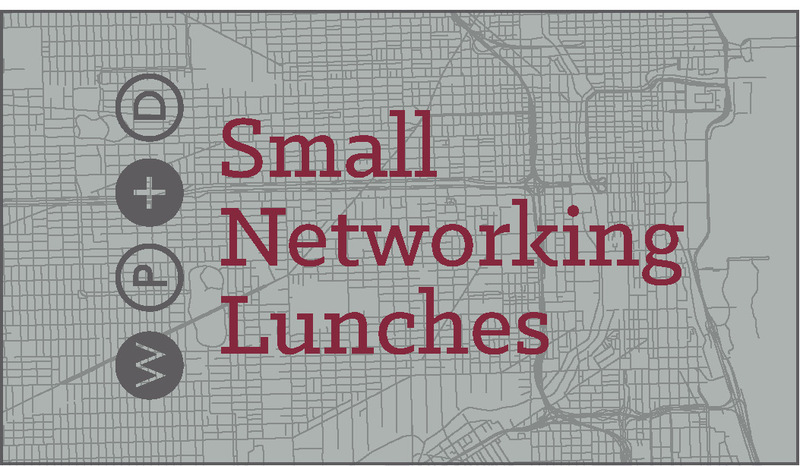 As with every WP+D Small Networking Lunch, registration will open at 12:00 p.m. the first day of the month during which the lunch will be held. Registrations are taken on a first-come, first-served basis and typically fill up quickly. Due to the popularity of these lunches, we ask that members register for no more than two consecutive lunches. If you have attended the past two lunches and are interested in attending this event, please e-mail us at wpdchicago@gmail.com asking to be put on the waitlist. If spaces become available or registration isn't full a week in advance, we will contact you. Women in Planning and Development (WP+D) is a non-profit corporation under IRS 501(c)(6) with taxpayer ID 36-3862393. Donations and dues made to WP+D are not tax deductible.